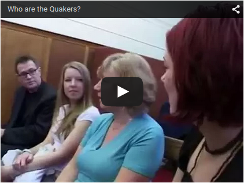 Brighton Quaker Meeting has a duty of care to all users of the Friends’ Meeting House. We are committed to ensuring good health and safety practice is maintained in the building. To this end the Meeting works to keep the Meeting House, furniture, fixtures, equipment and chattels in good order and regularly checked. You may like to download a full PDF copy of these Health & Safety points here. We ask you as users of the building to observe the following practices to ensure the safety of your event. As hirers of the building you have this responsibility. Please read the fire alarm procedure displayed in each room and familiarise yourself with all the fire exits. A plan of the building is available which details exits and the main passage ways. Fire alarm points and fire fighting equipment are in the passageways. Please do not obstruct any of the doorways in and out of the hired space with furniture or equipment. Passageways, stairs and fire exits must also be kept clear of obstructions. Hirers are responsible for the safety of any electrical equipment they bring into the building. Any cables for equipment must be laid safely and with awareness for doorways and passageways. Cables should be firmly taped down. We ask users of the kitchen to observe basic food hygiene and ensure that doorways are not obstructed. Any waste to be placed in the bin provided. All equipment and work surfaces used to be left clean and tidy. A first aid box is kept on the premises and can be accessed through the Warden or duty Friend. Hirers of the building are required to ensure that all attenders at the end of their event leave the building. Download these points as a PDF document.